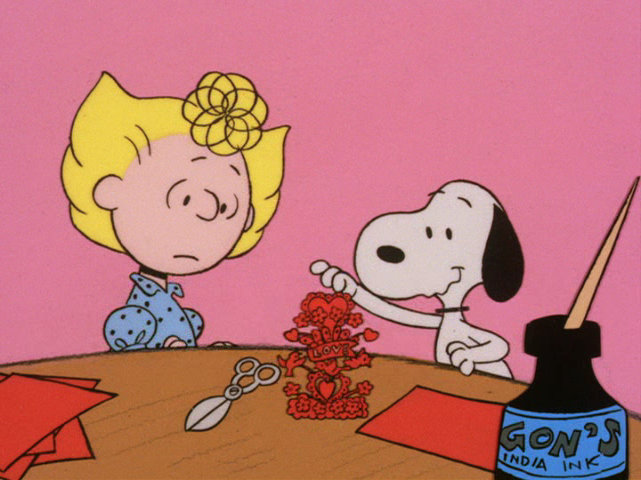 The old and new double-feature of Be My Valentine, Charlie Brown (1975) and A Charlie Brown Valentine (2002) will be shown on ABC on Friday, February 12, 2016 from 8 - 9 PM (Eastern/Pacific). 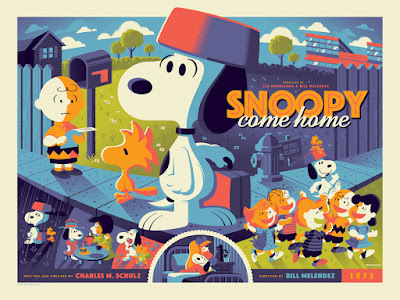 Our best of buddies Dark Hall Mansion are getting it together to show they have fundamental-print-dependability with their first Peanuts print of 2016, an outstanding rendering for Snoopy Come Home, the gang's second theatrical outing in 1972. Returning artist Tom Whalen has created an image full of scenes from the movie using an appealing symmetrical composition, as he did in his A Boy Named Charlie Brown print from last year, to cover Snoopy's journey from home, to Lila's hospital, back home again. 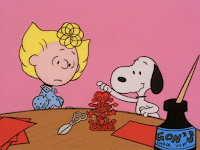 The print will be available in four editions: a standard edition; a variant edition with a different color scheme; and very limited foil editions of each color scheme. They go on sale very soon - Friday, January 15, 2016 - so be ready to samba over to Dark Hall Mansion's store. These officially licensed editions will measure 18" x 24", are screen printed, and hand-numbered. The standard edition will be limited to 280 prints, the variant edition will be limited to 50 prints, and the foil editions limited to just 10 prints of each color palette. The Snoopy Come Home prints go on sale Friday, January 15, 2016 at 9:30 AM Pacific time at Dark Hall Mansion's webstore.